The early Catholic settlers of central Plymouth County, Iowa traveled to nearby Le Mars or Ellendale to attend Masses and receive spiritual care. 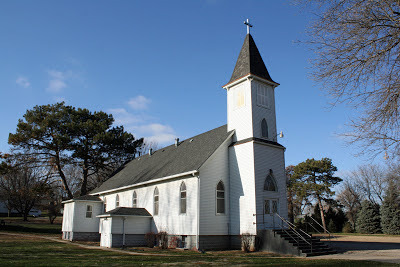 By the time Assumption Catholic Church in Merrill, Iowa received its first resident pastor in December of 1893, a wood framed church had already been constructed by devoted parishioners. 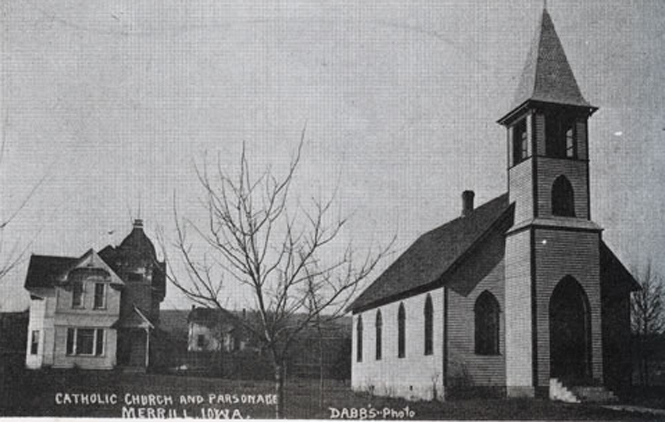 Later in 1924, a basement was dug under the church to serve as a parish hall and a 22-foot addition was added to the rear of the church to serve as the sanctuary. A more thorough history of the parish is available from the Catholic Globe. 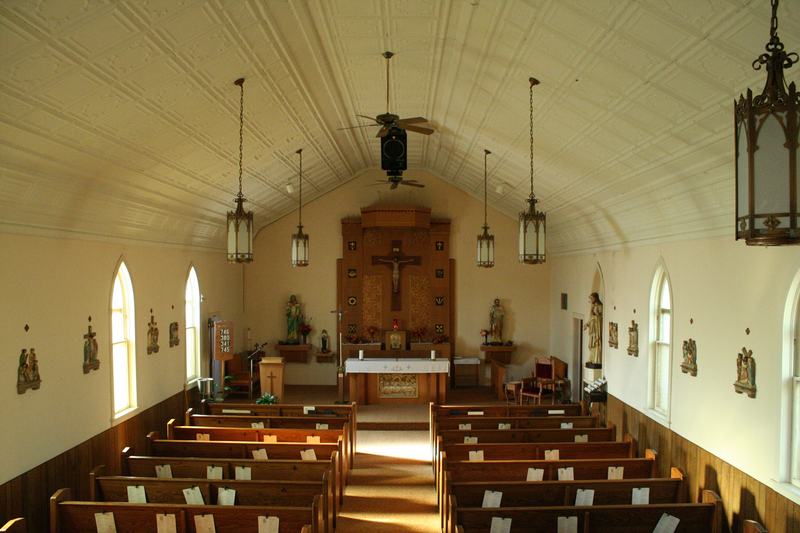 Though a number of changes have been made to the structure throughout the years, the parish's original church building still faithfully serves the Merrill Catholic community. Likewise, the interior of the church has been remodelled a number of times over its history. More recent renovations took place in the 1940s and again in the mid-1970s. 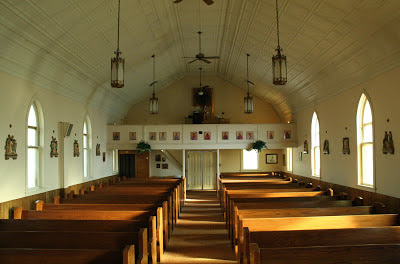 Particularly unique to the Merrill church are the pressed tin ceiling and simple but elegant reredos. The windows are of clear cathedral glass. 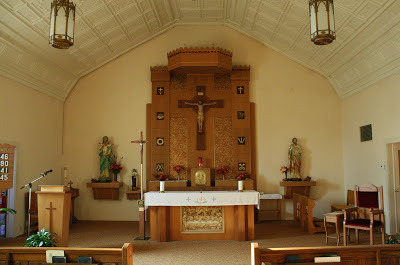 I was told that the altar and reredos date from the 1970s renovation, however because of their style, I'm more inclined to believe that they are older - likely from the late 1950s. Regardless, they are nice pieces in their own right. Unfortunately, the future of Assumption Parish has been on shaky ground for nearly 10 years and the uncertainty continues still. 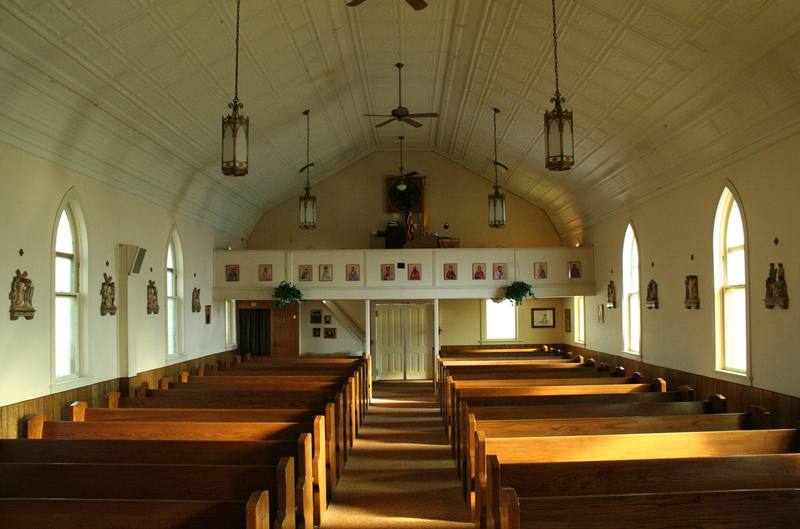 In 2006, it was officially announced that Merrill and six other parishes would consolidate into a single parish in Le Mars. 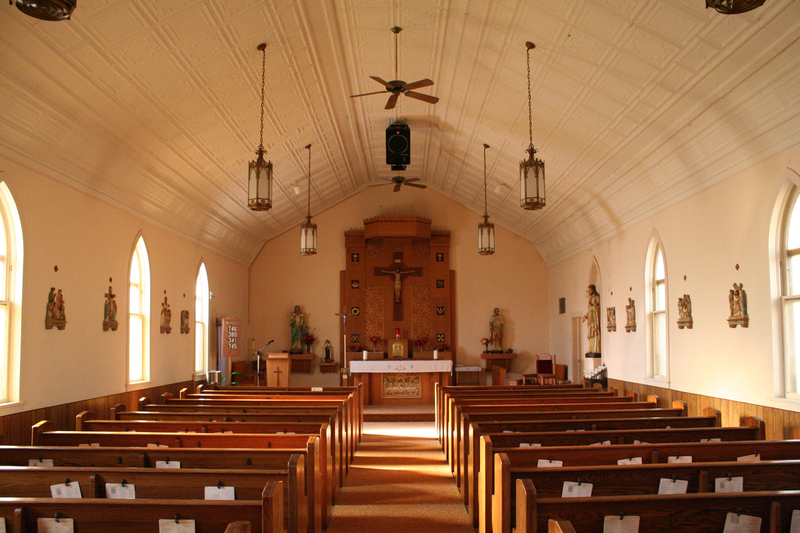 However, in 2009 that proposal was overturned, allowing five of the six parishes to remain open. Nearby St. Joseph in Neptune, Iowa closed in June of 2011. Despite these seemingly positive turn of events for Assumption, there's still a sense of uncertainly about the parish's future. In May of 2015, a decree of closure was issued for the parish, and a final Mass was held on Sunday, June 28. The fate of the building and its contents at this time is undetermined. I drove through Merrill on July 9, 2017 and discovered that the church has been demolished. 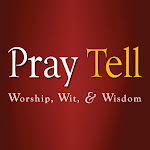 If anyone has information on the locations of the church's contents or news articles, photos, or other information about the church, please email me. Video: Last Mass at Our Lady of the Assumption.